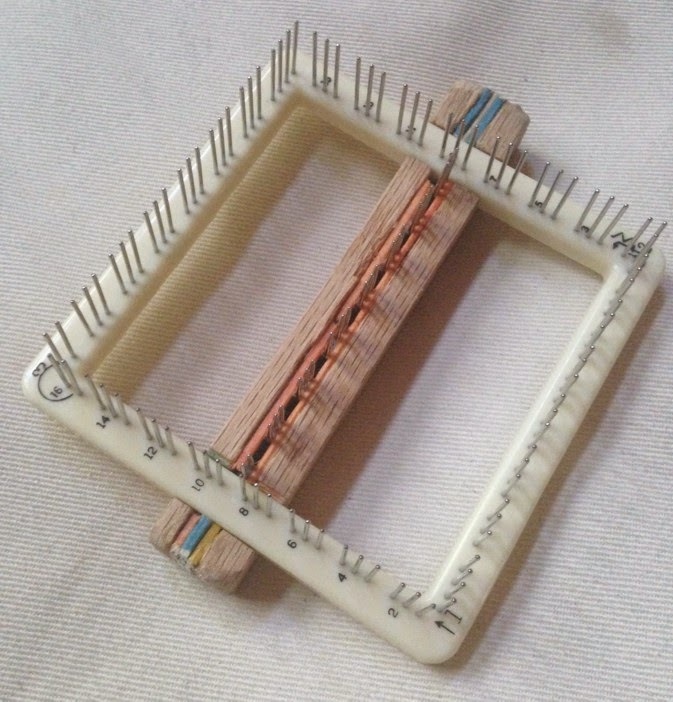 Pin looms are, in many ways, defined by their size. The fact that they are small supports their capacity to offer convenience, portability and ease of use. However the fact that we are always producing small patches of fabric leads to the number one burning topic among pin loom weavers, how to join them together. Which leads to my introduction of John Mullarkey. You have likely heard his name. 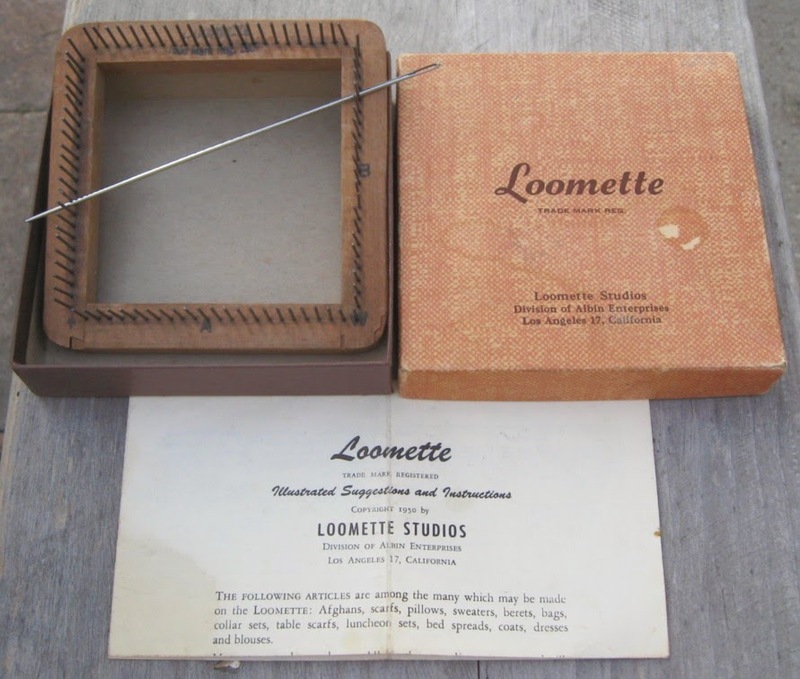 John is the weaver who worked with the Schacht Spindle Co. to design the Zoom Loom. This is a link to an excellent article on John's involvement in Zoom Loom's genesis. But that's not all... remember how I said that joining techniques are so important to pin loomers? John was the Best of Show winner in the 2010 "Not Just for Socks" Contest for the Spanish Moss Shawl, using a single crochet join to create this light, airy shawl. 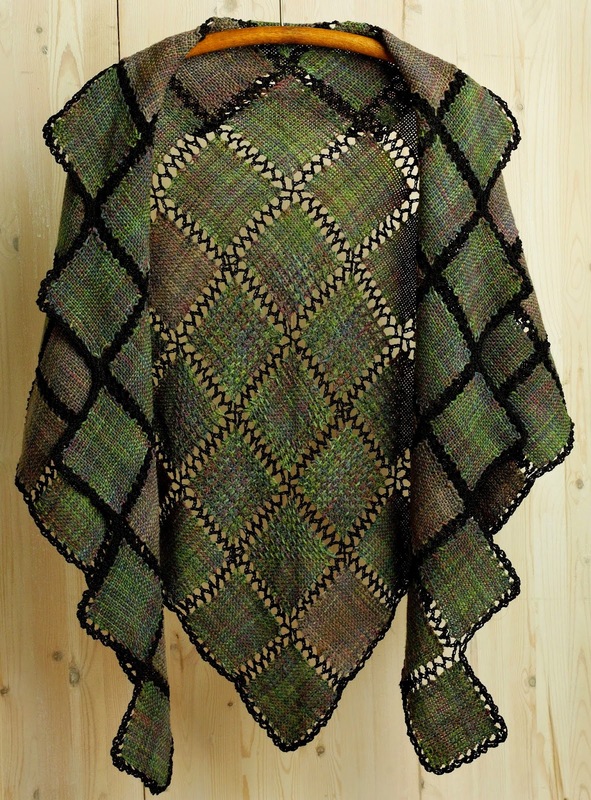 Schact Spindle is now offering a variety of projects for weaving including the Spanish Moss Shawl as well as purses, pillows and a variety of projects that are all made with the Zoom Loom. 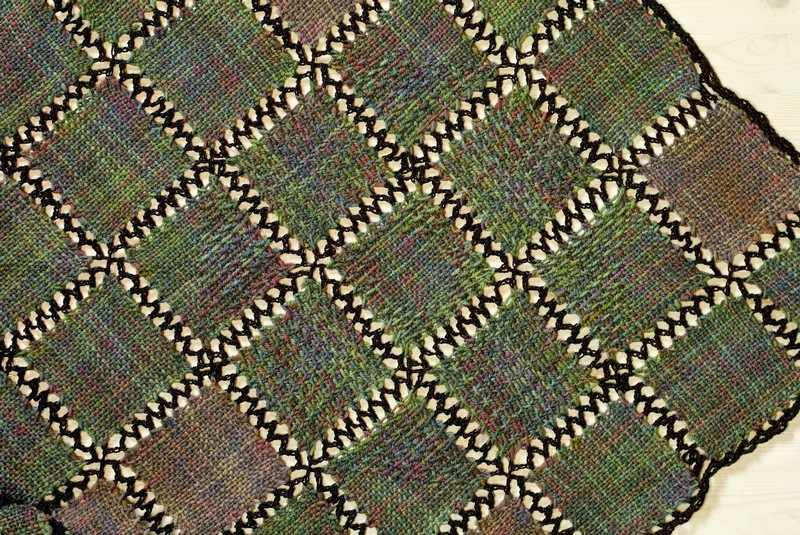 Click here for complete directions for this incredible weaving including a close-up of John's joining technique. 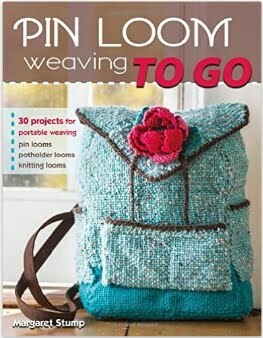 She noted, "My pin loom weaving started with a trip to Goodwill. I found a loom for 49 cents and it had directions! 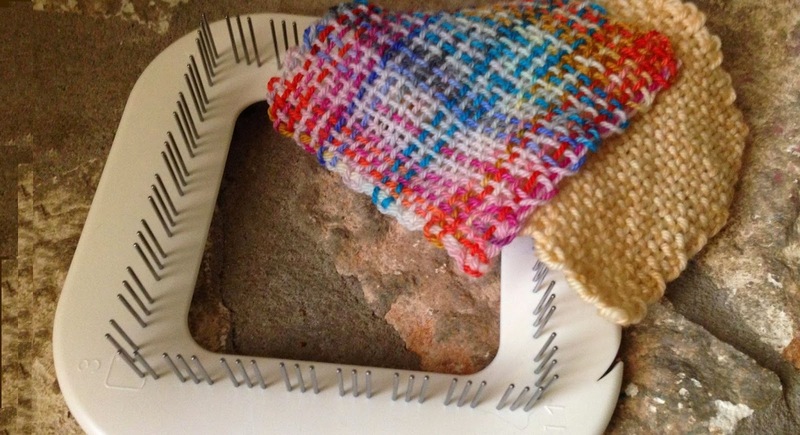 I hated traditional table top weaving due to the amount of waste and non-portability. I am a spinner in love with drop spindles, I do have and use a wheel, but sometime less is best!" In this case the challenge was, make a Prairie Point to match the 4" x 4" square with just a 4" loom to work with. She noted that she tried to fold the 4" square in half on the diagonal, but that makes too big a triangle. 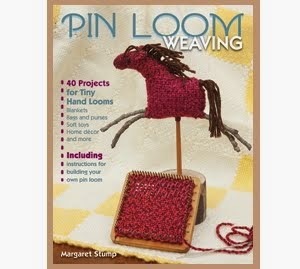 She realized that she had to make a 2" x 4" loom, which she did. 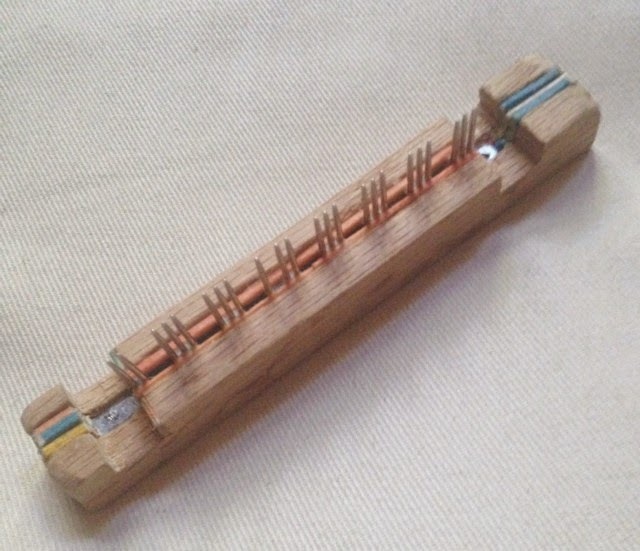 Caroline says, " This is my adjustable bar made from an oak strip and a metal dog comb. I had to pull out some of the teeth to get the pattern right. I carved the oak strip to hold the dog comb stable on the weave it loom. I hand carved it all with a wood carving knife and had blisters on top of blisters! I used cocktail toothpicks as shims to ensure a snug fit." Here is it in place on the loom with an adjustable snug fit. 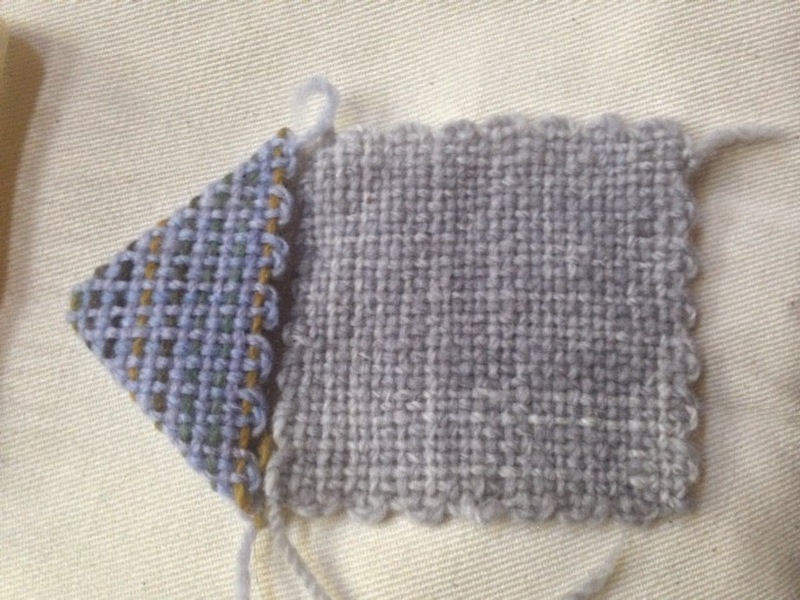 I am really impressed with the fact that not only can Caroline make a 2" x 4" rectangle, she can also weave a 1" x 4" or a 3" x 4" as needed. Below is her Prairie Point, corners of the 2" x 4" folded in and stitched closed. She noted that she is making a very pastel Blankquilt, almost finished. The yarn is a 70/30 Targhee wool and nylon sock yarn from Montana, described as beautiful and lofty. 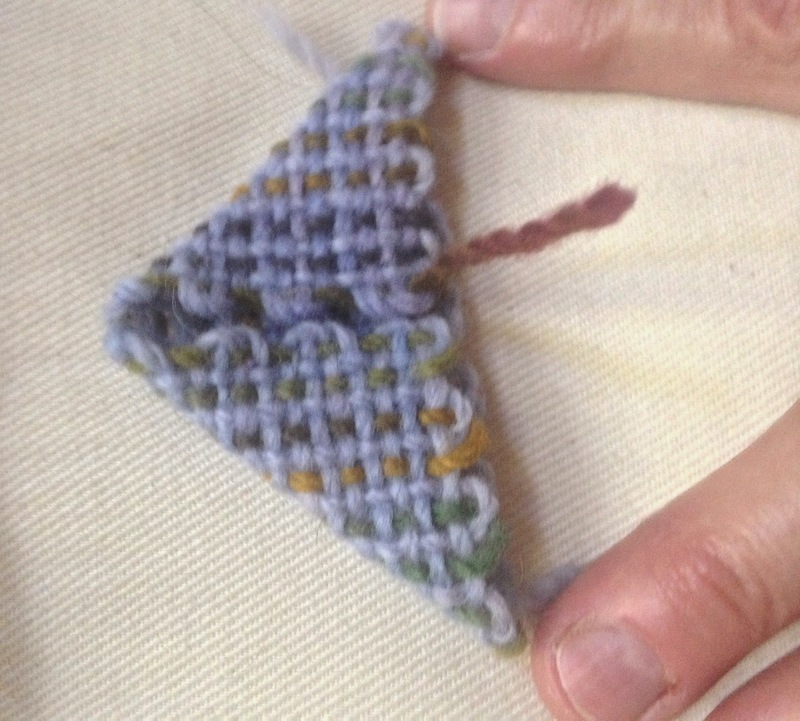 "All it needs is a few more points, weaving in the ends and fulled." 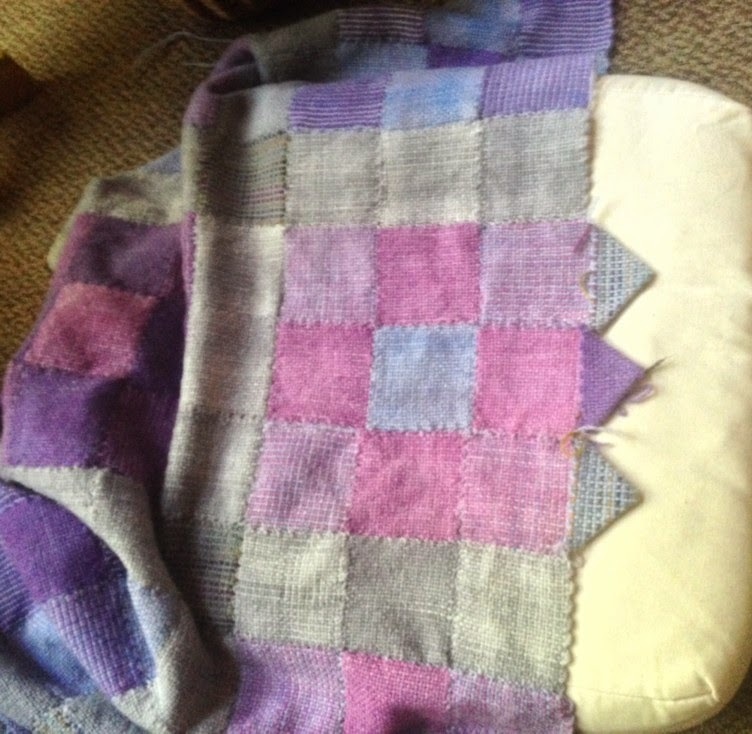 I am really hoping that she will consent to send a picture of her finished blanket as well.